Treasure Hill Residence workday gathering. December 13, 2014. This week, more news coverage of the neighborhood effort to Save Miguel’s House (see Part 1) came out in theRivardReport (online) and in the San Antonio Express-News. 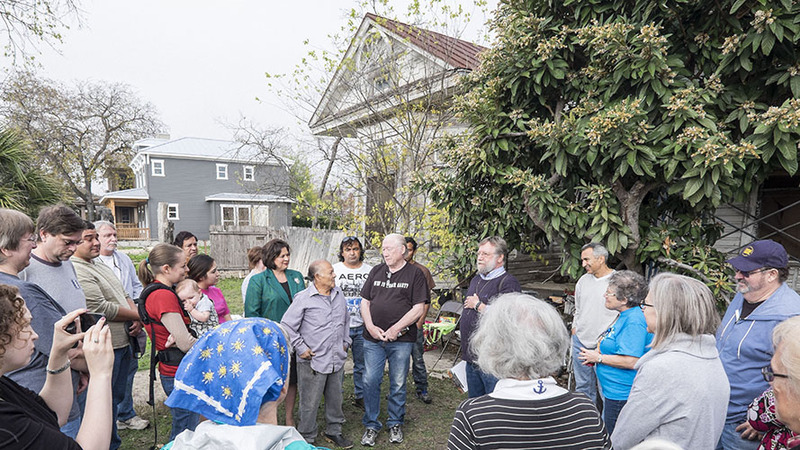 It centered around the volunteer work day organized by Bob Comeaux, and it was nicely covered by two neighbors, authors Jessica Belasco in the San Antonio Express-News article and Page Graham of The Rivard Report in #SaveMiguelsHome – The Work Begins. The work day was a success thanks to approximately 50 persons who came to help. 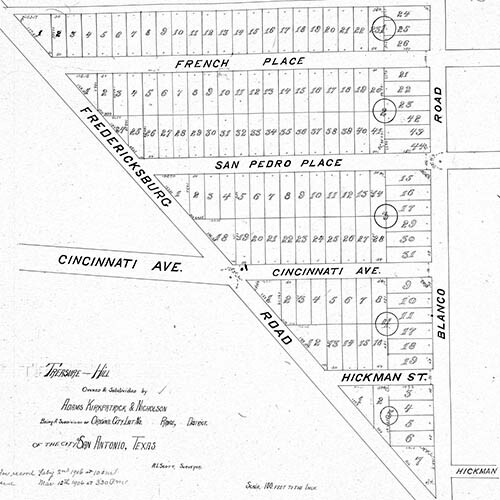 We’re calling this project Treasure Hill Residence, after the original name of the subdivision created in 1906. Legend had it the early Spanish explorers hid treasure here, but the name has been overshadowed by “Beacon Hill” which abuts this property on the north and is the current name for the whole neighborhood. The elusive treasure, however, is being mined today in the trove of neighbors and folks from all over the city generously donating to the cause. E-mail Bob Comeaux at bobtheunionguy “at” aol “dot” com if you want to find out more about how you can help. 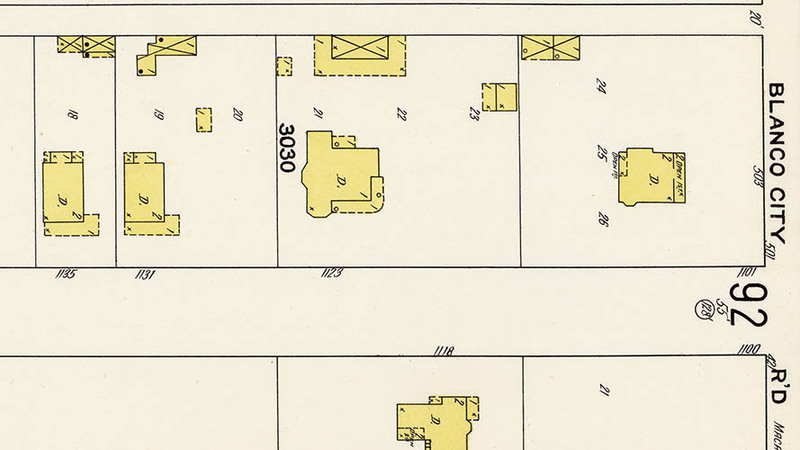 Detail of 1911 Sanborn map showing Treasure Hill Residence and outbuildings near Blanco City Road. Posted in architecture, blog, homes, publications, urban. RSS 2.0 feed.